Come participate or watch/experience plain air painting at the 3rd annual Wild Rivers Plein Air Paint Out. The paint-out, July 17-20 is open to all artistic levels, ages and art mediums. It will be held at beautiful Wild Rivers Recreational Area and the surrounding Questa area including Red River, San Cristobal, Rio Costilla and Amalia. During this time Peruvian-American artist Sonia Diaz will be sharing her connection to rivers as a Latina activist and leading a discussion on the history of the Rio Grande. 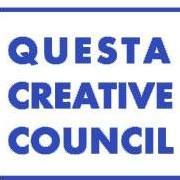 Questions: For Questions about this event, please contact Sonia Diaz with Questa Creative Council at 623-332-6838 or wildriverspleinair@gmail.com.